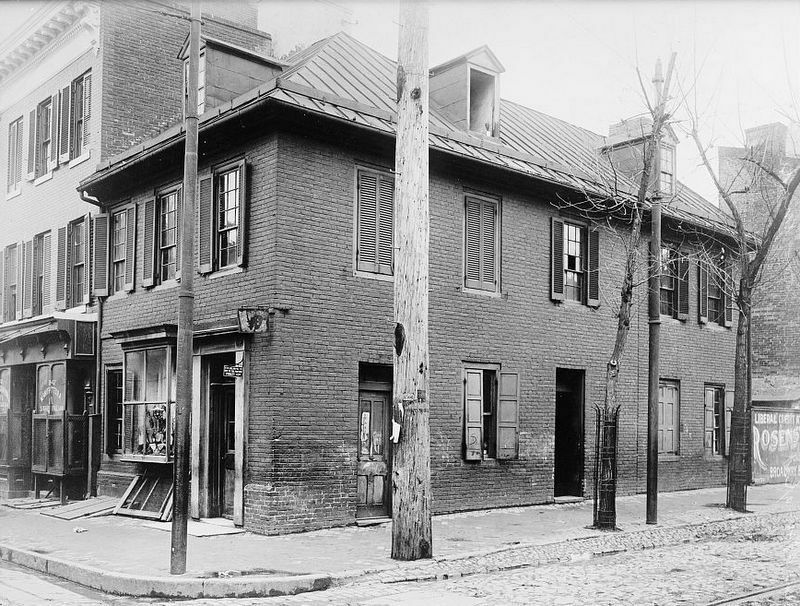 In this small brick house on East Pratt Street, Mary Young Pickersgill, assisted by her mother and niece, designed and fabricated the Star-Spangled Banner. This fifteen star, fifteen stripe flag flew over the ramparts of Fort McHenry while it was attacked by the British during the War of 1812. The mammoth flag, thirty by forty-two feet, withstood the British secret weapon of rockets, and was "still there" in the "dawn's early light" of September 14, 1814. From an American sloop within the enemy fleet, Francis Scott Key, inspired by the sight of this flag as it withstood heavy bombardment from the British, wrote the poem that today is known as the National Anthem of the United States of America. 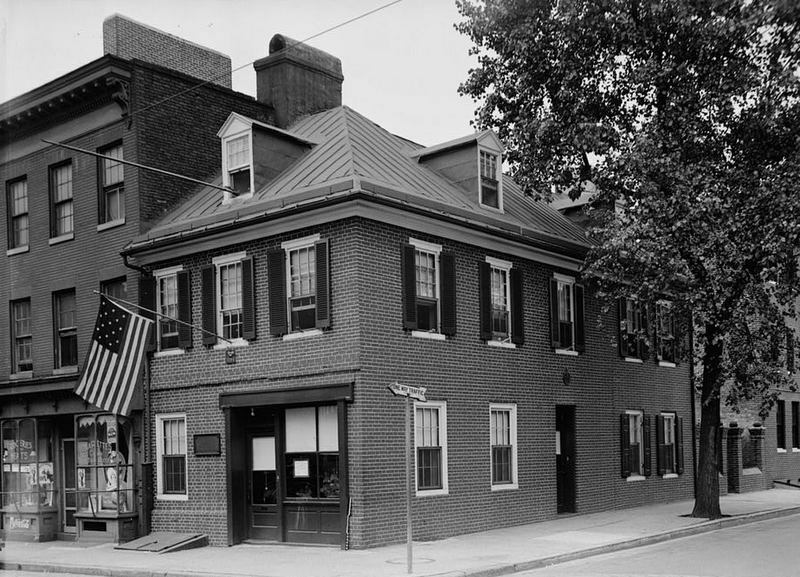 This National Historic Landmark, now called the Flag House or Star-Spangled Banner House, was built in 1793. Mary Pickersgill lived here from 1807 until her death in 1857. The City of Baltimore purchased the building in 1929 and maintains it as a museum. In addition to maintaining the house, the City built a public museum with artifacts from the War of 1812 that connects physically and thematically with the Flag House, including Mary's $405.90 invoice for her work. The Smithsonian Institution continues to protect and exhibit Mary's flag, which was the world's largest when it was completed. 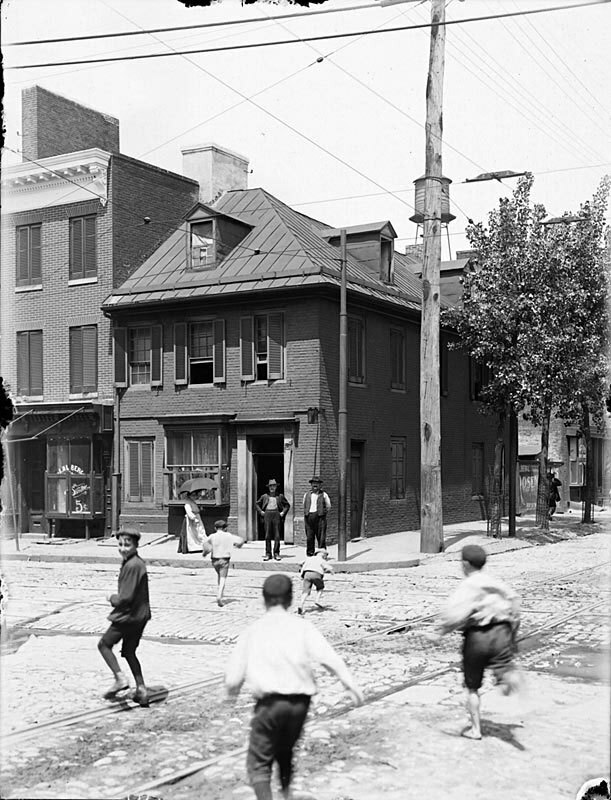 National Park Service, “Flag House,” Explore Baltimore Heritage, accessed April 19, 2019, https://explore.baltimoreheritage.org/items/show/192. Published on Feb 12, 2013. Last updated on Nov 27, 2018.